Call it drugs for the departed: Medicare's prescription program kept paying for costly medications even after patients were dead. The problem was traced back to a head-scratching bureaucratic rule that's now getting a second look. A report released Friday from the Health and Human Services Department's inspector general says the Medicare rule allows payment for prescriptions filled up to 32 days after a patient's death - at odds with the program's basic principles, not to mention common sense. Investigators examined claims from 2012 for a tiny sliver of Medicare drugs - medications to treat HIV, the virus that causes AIDS - and then cross-referenced them with death records. They found that the program paid for drugs for 158 beneficiaries after they were already dead. The cost to taxpayers: $292,381, an average of $1,850 for each beneficiary. Medicare's "current practices allowed most of these payments to occur," the report said. Of 348 prescriptions dispensed for the dead beneficiaries, nearly half were filled more than a week after the patient died. Sometimes multiple prescriptions were filled on behalf of a single dead person. Investigators don't know what happened to the medications obtained on behalf of dead people, but some may have been diverted to the underground market for prescription medicines. The report said HIV drugs can be targets for fraud since they can be very expensive; one common HIV drug costs about $1,700 for a month's supply, it said. However, the inspector general's investigators found that about 80 percent of the prescriptions for dead beneficiaries were filled at neighborhood pharmacies, undercutting Medicare's first explanation. As for the remainder, the investigators said they didn't see any reason pharmacies can't report an accurate date of service. Investigators said they stumbled on the problem during an examination of coverage for AIDS drugs dispensed to Medicare beneficiaries. Sexually transmitted diseases are an increasingly recognized problem among older people. That earlier investigation raised questions about expensive medications billed on behalf of nearly 1,600 Medicare recipients. Some had no HIV diagnosis in their records, but they were prescribed the drugs anyway. Others were receiving excessively large supplies of medications. Several were getting prescriptions filled from an unusually large number of pharmacies. 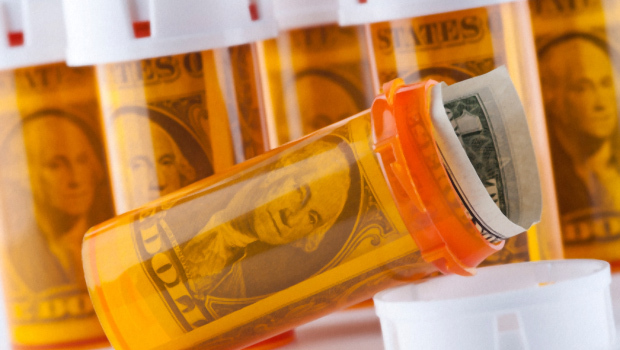 Prescription drug fraud has many angles. When the high price of a drug puts it out of reach for certain patients, it can create an underground market. And some medications, like painkillers and anti-anxiety pills, are constantly sought after by people with substance-abuse issues.